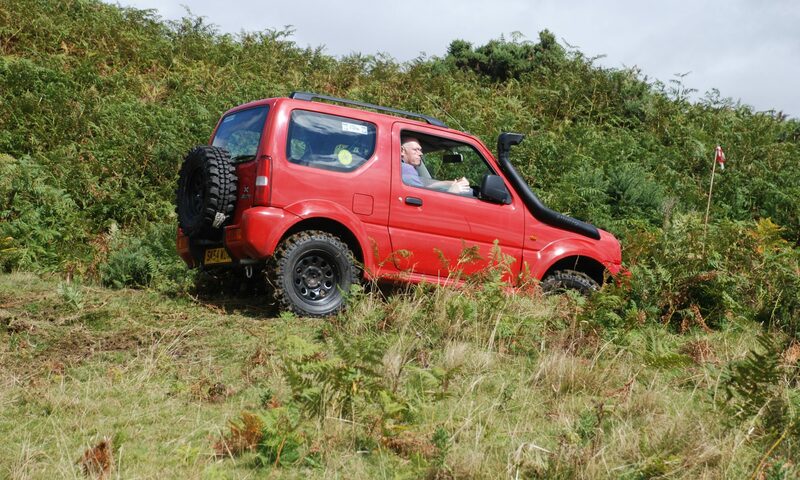 Tyro events provide an excellent starting point if you would like to try your 4×4 out off-road. These events are aimed at young drivers or novice drivers in newer vehicles, where gentle sections are taxing enough to get to grips with the car without inflicting damage (reckless driving aside). One of the biggest bonuses of this type of event is that juniors can compete from the age of 13 (under our supplementary regulations) provided they are accompanied by fully licensed driver with some off road experience. The event comprises of a set of 10 sections. Each section has 7 pairs of markers or gates. Competitors attempt to drive between the gates without stopping or hitting a gate. Each pair of gates decreases in value from 12 to 1. The object is to get as far round the section as possible, ultimately receiving ‘0’ for an error free drive. The sections are set out across open ground with the intention of testing driver and vehicle without the risk of damage. Varying terrain is used to test the drivers ability. This type of event gives a good introduction to the trials system of gates and scoring that is employed in both RTV & CCV events. These type of events are suitable for any type of vehicle – even ones straight out of the showroom!